After the iPhone 4S, the entire expectations of the iPhone and Apple fans rests on iPhone 5 that is guessed to be released at autumn. 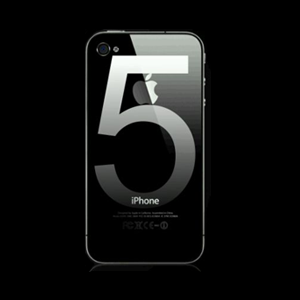 The design of the iPhone 5 is expected to be around iPhone 4S’s designs bit revamping. It is told to be about and similar to iPad2 with quite sleekness and would be of aluminum. It is having a flick technology so that e-books could easily be flicked through and around without touching the screen. It may have 4.7-inch screens. But Apple is getting closing to keep it around 4 inches according to the rumors. iPhone screen somewhere be going to be closer to the iPad. It is developed to fill the gap existing between smartphones and desktops. Screen resolution can be according to the display size. Apple could raise the display size but adhere to the same 640x960-pixel resolution. The thing is, the iPhone 4S's retina display is actually one of the best HD screens available. And there are chances of repetition of it in iPhone 5. HDR videos are most close probables’s for the next generation of iPhone. iPhone 5 would definitely have a quad-core A6 processor, following on from the dual-core A5 that sits in current models. On storage it is hopeful that Apple would go with the 4S capacities of 16GB, 32GB and 64GB. And rest is the iCloud to look into the bigger details. Interestingly for 4G the device could have the quad-mode chip from Qualcomm, which can connect to 3G and 4G but many regions require better network support for it. For Social networking savvy people it would have the Find My Friends feature from iOS 5. The iPhone may be able to identify between who shares interests or have travelled to same places. And finally it is for sure it would have (NFC) chip for Mobile payment system.